Higgs & Sons is a modern, forward thinking practice that has never forgotten its roots. The Midlands based firm remains true to its values of client service and technical excellence: trusted by thousands of clients to protect their interests, and still continuing to do so. When Higgs & Sons began to research a case support system for its Dispute Resolution team it set out with these same values in mind. The firm wanted a system with a recognisable heritage that utilised current Microsoft technologies, designed to support the firm’s ambitious future growth plans. Having undertaken a review of the market place, the firm selected Linetime. “Our aim at Higgs & Sons is to bring about the resolution of disputes in a proportionate and cost effective way,” said Julia Lowe, Partner and Head of the Dispute Resolution team. Adam Cutler, Director of IT at Higgs & Sons was equally impressed with what the system had to offer. “The level of automation and flexibility, the system’s ability to ingest data from external sources and the client facing self-service portal were all key requirements in supporting our developing, but ambitious debt recovery team. The Linetime system will be used to drive the team’s business processes, and build and store various correspondence including, emails, scanned images and file notes. In addition the system will be used to bill clients either individually or in bulk at pre-set intervals. 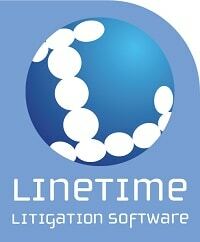 “We are delighted to be working with such a progressive law firm,” states Tony Klejnow, Managing Director at Linetime. “Higgs & Sons has a clear vision of what it wishes to achieve in terms of business growth, efficient working practices and retention of high quality service levels.